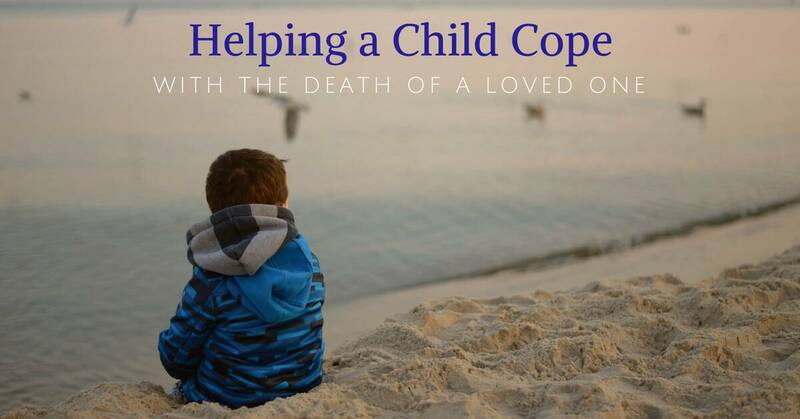 How to Not Burden Our Kids With Our Own Emotional "Stuff"
At this point in time, many people have heard about the heavenly, blissful experiences that characterize the Near Death Experience (NDE). Raymond Moody, M.D., published his first book on Near Death Experiences (NDEs) in 1975. He described people who had died, revived, and told of experiencing reunions with deceased family members, seeing beautiful scenery, and encountering the Divine  . In 1978, cardiologist Maurice Rawlings, M.D., published his book, Beyond Death’s Door. The accounts he presented were of people having terrifying experiences. He states “…contrary to most published life-after-death-cases, not all experiences are good. Hell also exists.”  Reviews of Rawling’s work revealed distortions in his reporting of the data and his conclusions. It appears that the primary goal of his research was to convert people to Christianity so they would not go to Hell. As a result, his findings were not given much credence. Of course, that did not mean that these distressing experiences weren’t real but that a more unbiased and credible approach needed to be taken to understand them. We do know that Frightening Near Death Experiences (FNDEs) are rare, but it has been hard to determine the exact frequency at which they occur. Reports in the literature, of those having NDEs, suggest that the distressing experiences range from only 1% to 15% of that total. One of the reasons it is hard to ascertain the true frequency of these experiences is due to peoples’ reluctance to talk about what has happened to them. If those who have had a pleasant NDE find it hard to share their experience, then people are even less likely to report a distressing one for fear of what they think it says about them or that others might judge them negatively. Investigators have been able to identify three primary types of frightening experiences. The first is basically experiencing the NDE. The individual is scared by such an unusual experience and the feeling of loss of control. After all, it is not every day that someone has an out-of-body-experience. The second type is experiencing being in a void. It is described as being completely alone in vast darkness and disconnected from everything and everybody. Ken Vincent  refers to it as an “existential hell.” The last type is the least common of the frightening experiences. These are the truly hellish NDEs. People describe scenarios that could easily be found in the lower levels of Dante’s Inferno complete with fire and demonic beings. What type of person has a distressing experience? Some may jump to judgement that this must be a bad or evil person. Surely there must be something wrong with them. After all, we have been taught that if we are good we go to heaven and the bad or wicked go to hell. There is no indication from people’s accounts of these experiences or life history to suggest that this is true. My own work with felons in a prison hospice suggests that the dying have the same type of death bed visions as others who are not incarcerated. It is still unknown why some people have frightening experiences and others have pleasant ones. It is also not known why some people have NDEs and others do not. Anyone is capable of experiencing these; the young and old, males and females, and people across racial and cultural lines. While the impact of these experiences can be profound, they are still not scientific proof that there is a heaven or hell. Of course, for the majority of those having the experience, there is no doubt in their minds that these places truly exist and that they have visited them. All NDEs are part of a group of experiences that are referred to as spiritually transformative (STE). By definition, this means that all of them are primarily religious in nature. After all, Heaven and Hell are religious concepts. One of the most frequently reported after effects of FNDEs is becoming more spiritual (Dr. Jeff Long, personal communication, February 4, 2019). The frightening aspects of the NDEs have been viewed as representing a separation from God whether it is the disconnection of the void or finding oneself in a hellish environment. It is not uncommon, especially after a FNDE, for the experiencer to need help in understanding and coping with what has happened. If you serve as a caregiver whether professionally or as a friend or family member, perhaps the most important thing you can do is listen without judgement. Recognize that it took a lot of courage for the individual to share the experience with you. It is important to ask what meaning the experience has for them. If it has impacted them negatively, then it is important to support and educate them as to the potentially positive impact it can have on their lives. Mystical experiences are replete with individuals entering the “darkness” on their way to being united with God, such as St. Teresa of Avila and St. John of the Cross. History and literature abound with people who have gone through distressing and trying times who then emerge transformed. These are the classic ancient stories of suffering, death, and rebirth. Another way of putting their experience into perspective is to educate them about what Joseph Campbell refers to as the Hero’s Journey  . The journey begins with the hero leaving his home, going to a strange and unknown place, encountering challenges and temptations, and returning home forever changed and transformed. Carl Jung’s concept of the Shadow is also helpful to a further understanding of what has transpired. Basically, the shadow is the dark side of our personality. Those parts of ourselves that we do not want to acknowledge and keep hidden from the world and ourselves in our unconscious. Bringing these out into the light to be examined and incorporated can make us whole. What better way to be confronted with that aspect of ourselves than a trip to hellish surroundings. Confronting our demons wherever they may be has the power to heal us, strengthen us and make us whole. Perhaps it is those who have the FNDE that actually benefit the most.